Professor D brings an incomparable energy to their dynamic shows. From Motown to disco, funk and R&B to current Top 40 hits, you get the best dance and party songs EVER - played back to back to back! The music hardly ever stops as they segue from one hit to another with their trademark personality and fun. Professor D is heavy on the "audience participation," getting your friends and guests involved all night long. After 12 years and literally thousands of shows around the southwest, this band has the experience and exuberance to make your event a huge success. Professor D has opened in the last year for artists such as Prince, Tina Turner, The Backstreet Boys, Kool & The Gang, Gloria Estefan, Janet Jackson, plus many others! This band has what it takes to make for a spectacular event! "As I emailed you shortly after the reception, we were more than pleased with the performance." "Carol, As we recover from an 8 month planning and a wonderful wedding weekend for Emily and Blake, I must tell you how perfect the band, Professor D was on Saturday night! The music was so upbeat and the talent of the musicians and vocals were great! We had so many compliments from our family and friends but also vendors that were providing help to us through the evening. A few of our friends are semi professional musicians and they in particular were so impressed with the band". "They were polite, nice & played great music." "Extremely professional - great entertainers - lots of fun." "In a word it was 'perfect'. Could not of been better. Everyone loved them." "Carol - I just wanted to send a note to say thank you for everything, It was a pleasure working with your agency and the band, Professor D. I have never had so much fun at an event in my life. The band was amazing - the talk at my wedding reception - truly! They really set the tone for an amazing night. Please pass my sentiments along to the band. Kindest regards!" "The band was great! Everyone had a blast & the band motivated everyone to get up and dance." 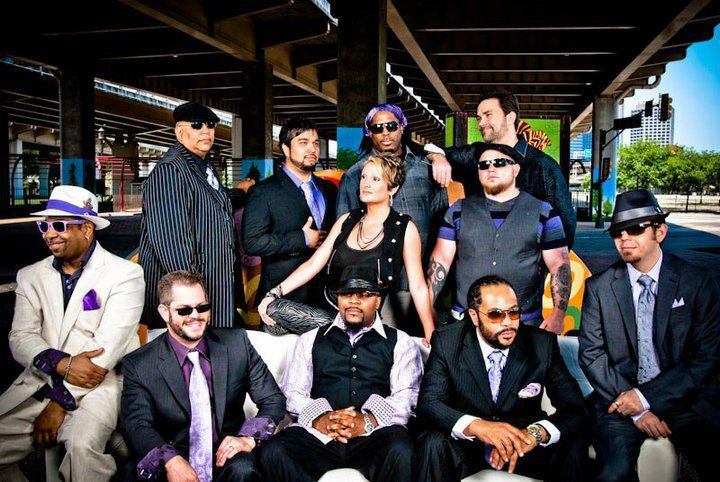 "If I had to recommend one band in Dallas, Professor D. would be it! The band is tremendously talented and each member adds their own unique style to the performance. Each set is performed flawlessly and they are a true delight to listen to. Professor D. is outstanding!" "Everyone was very impressed with Professor D! Even our wedding coordinator who has been in the business for over 20 years said that this was the best band over." "They were very good to deal with. The crowd really enjoyed their music performance." "The band was fantastic and fun was had by all!" "Your attention to detail in preparation for the event was unsurpassed. In my 11 years as a wedding consultant and over 300 weddings, I have never worked with a band that was as professional, as personable, and as willing to do whatever was needed to make the event a huge success." " Dear Scott, I wanted to tell you once again how much I enjoyed working with you and your band Saturday night. Longfellows was a success and you helped make it so. The debs loved you and had a grand time. And of course that is the object of the party. It was a pleasure to meet you. Best of luck to your group. Please feel free to use us as a reference at any time. PS - I have worked with several bands with various parties over the years and you were the BEST, most professional, and the NICEST! Thank you for making us look good!"